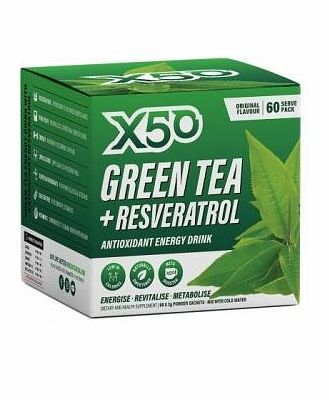 X50’s original formulation blends the benefits of green tea and resveratrol into a refreshing tropical-flavoured cold beverage sweetened with plant-based, low-calorie xylitol. 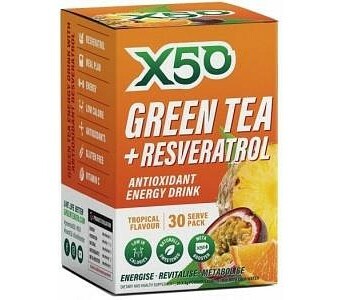 It supplies clean, natural energy as well as EGCG and other catechins, polyphenols, and a number of antioxidants – including extra vitamin C and resveratrol itself, which has such potent antioxidant activity that it has significant anti-ageing effects. 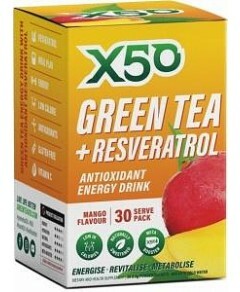 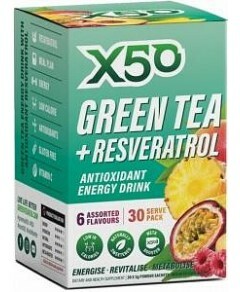 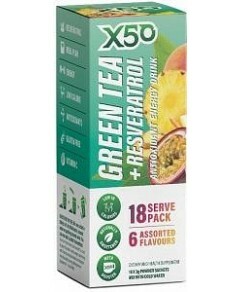 The concentrated green tea extract may also encourage thermogenesis to boost the metabolism and burn more calories and fat, making it easier to meet your weight control goals – and every pack includes free access to X50’s Accelerated Weight Loss Program with targeted advice on healthy lifestyle and diet. 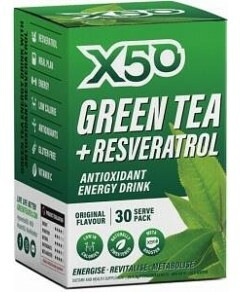 Ingredients: Green Tea Extract, Japanese Knotweed, Maltodextrin, Xylitol, Citric Acid, Malic Acid, Alfalfa Powder, Ascorbic Acid (Vitamin C), Pepper, Colour.